Inspired by our list of The Very Best N Names for Boys and Girls, I present the name Nova. 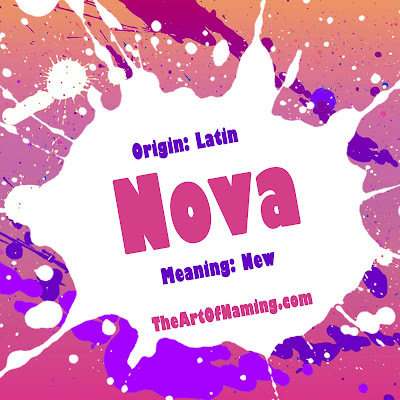 Nova comes from the Latin word novus which means "new". A nova is also a space term for when there is a cataclysmic nuclear explosion on a white dwarf planet. It causes a sudden brightening of the star. A nova is slightly different than a supernova which is a stellar explosion that briefly outshines an entire galaxy with as much energy as the sun before fading. As a name, Nova has been in use for girls since 1885 in the US but it was never popular until it exploded within the past 5 years. It ranked below the Top 1000 at #1133 in 2010. By 2013 it was up to #529. As of 2014 Nova ranked way up at #287 with 1,121 births for the year. It also ranks well in the Netherlands and Sweden. Nova has recently spiked for boys, too. It has always been given to males here in the US but not regularly until 1996. In 2014 there were 102 boys named Nova for a rank of #1553. 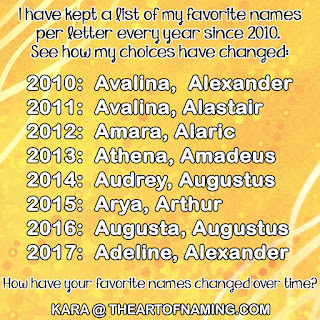 Do you like this name more for a boy or a girl? What middle names would you pair with Nova for a boy?